ADHD/ ADD or Sensory Processing Disorder? Busy, naughty, distracting, misbehaving, trouble-making….just some of the phrases we hear daily about kids with movement, modulation or neuro-biological reasons leading to difficulty sitting still and concentrating. Often first picked up when the demands of kindergarten or school increase, ADHD/ ADD and Sensory Processing Disorders (SPD) are very real and can have a huge impact on kids’ daily life. Here we attempt to differentiate between the presentations of ADHD/ ADD and SPD and provide some practical tips on how you can help kids through challenging times. Occupational Therapists and Psychologists can assist through assessment and close observation of a child’s behaviour and movement. Will often get into trouble due to movement and emotional regulation needs. There is an organic imbalance in neurotransmitters influencing attention and executive functions. Sensory events e.g. sounds, touch, movement push child out of or into optimal band (appropriate band of relaxation and attention). Parent and teacher report Questionnaires and parent report Parent report and clinical behavioural assessment Observation through Jean Ayres clinical observations checklist or use of the Sensory integration, Parent report and teacher report. Children with diagnosed Sensory Processing Disorder (SPD) may misinterpret everyday sensory information, such as touch, pressure, sound and movement. They will often become overwhelmed with certain sensory information and avoid or seek out certain sensory experiences to help themselves feel calm and safe in various environments. This adversely affects attention, concentration, learning and well-being. As part of a SPD diagnosis Children will have difficulties with Sensory modulation. Sensory modulation refers to our ability to organize our sensory information for future use. It involves being able to filter and out and process different sensory inputs which influences our behaviours in day to day function. The regulatory state in which we are calm, listening and ready to learn is referred to as our ‘optimal band of regulation’. Certain sensory inputs can help keep children with SPD in this ‘optimal band’ or push them out of this optimal band. When out of the optimal band children can have poor attention and concentration, withdrawal from certain experiences e.g. social, sporting, play, decreased safety awareness and poor academic performance due to attention constraints. These disorders are due to organic differences in the brain causing that result in varying levels of neurotransmitter affecting activity levels and executive functions. 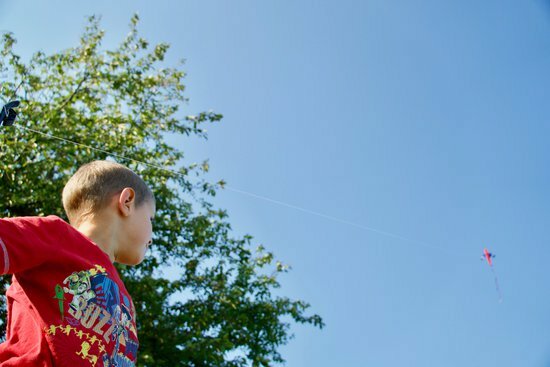 Children with ADHD/ ADD diagnosis can have difficulty with attention control, inhibitory control (impulse control), working memory (manipulation of information in their short term memory), and cognitive flexibility, as well as reasoning, problem solving, and planning (behaviour and motor patterns). Children with a diagnosis of ADD/ ADHD are often quite bright and insightful into their symptoms and difficulties. This can result in higher than usual levels of anxiety and avoidance of tasks they find challenging e.g. handwriting, listening during class. Here are some ideas for how to help reduce symptoms of ADHD and promote happiness in children. Empowerment: Empower kids with ADHD to understand their bodies, their sensory systems and what can help them stay within an optimal band of regulation. An Occupational Therapist can help build a sensory diet (sensory motor activities to complete in the school and home) that can help children stay within their optimal band of regulation. Psychologists can help Children manage anxiety, support confidence, understand their emotional regulation and manage behaviours. Motivation: It has been shown that when Kids with a diagnosis of ADHD are interested or show a passion in what they are learning their symptoms are substantially reduced. Talk to your child, make mid maps, what helps them learn? What is their learning style? Do they need a more experiential approach to learning? Will a reward based system work? Medication: Medication should not be seen as a ‘cure’ for ADHD. Medication are usually seen as a ‘glasses lense’ or an aid in reducing the severity of symptoms. Starting medication is usually at the discretion of the parent and pediatrician. From experience addressing sensory modulation difficulties, empowerment and understanding should be explored before medicating. Therapists will often advise parents only to medicate when the child is trying their hardest to alleviate their symptoms independently, but are unable to do so and are visually, physically and mentally exhausted and they are unable to cope academically. Children will often verbalize this in their own way e.g. ‘I’m trying mum, but the thoughts are everywhere in my head’. Medications should not change your child’s sensory processing and resulting behaviours. Remember every child is individual and unique! Their intervention plans should be tailored to their specific needs to promote happiness, self-motivation, achievable challenges and development. Above all any intervention should be fun and engaging!